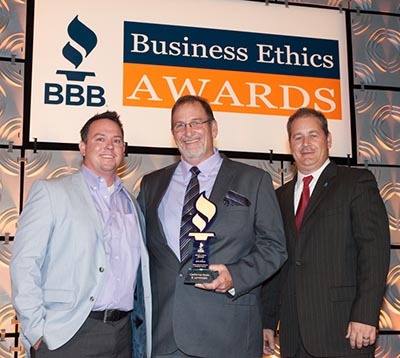 The Better Business Bureau of Central, Northern and Western Arizona announced the winners for the 2014 BBB Business Ethics Awards Wednesday night at its 13th annual dinner celebration. California Pools & Landscape is proud to be named the 2014 category 4 (51-150 employees) winner as a leading Phoenix Pool Contractor. 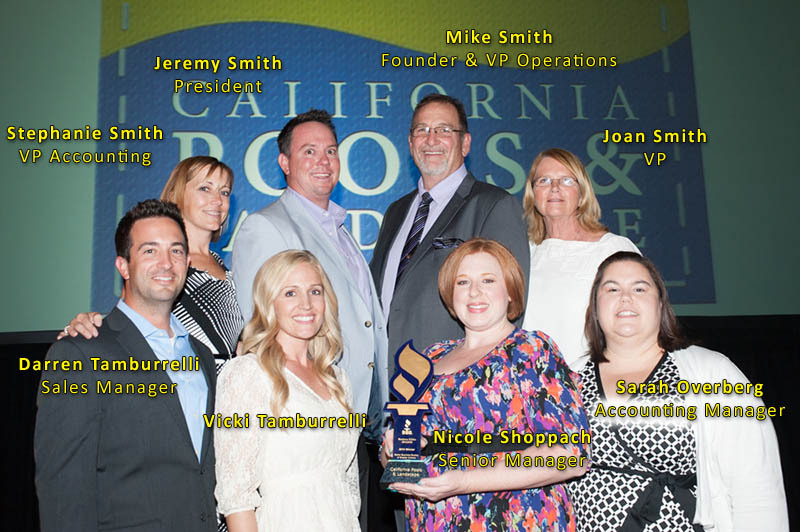 At the dinner to accept the award were California Pools family of owners, Mike, Joan, Jeremy & Stephanie Smith. 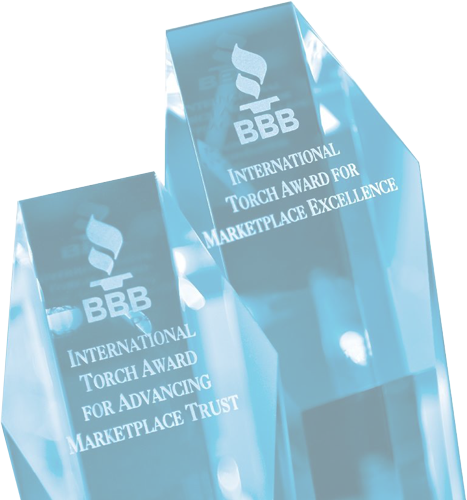 As a 2014 winner, California Pools & Landscape, Phoenix Pool Contractor was selected by an independent, volunteer panel of community and business leaders based on criteria established by the Council of Better Business Bureaus’ International Torch Award. Commitment to excellence does not stop with ownership at California Pools, though. “I know that every California Pools’ employee is dedicated in making all the above happen on a daily basis”, adds Shoppach. 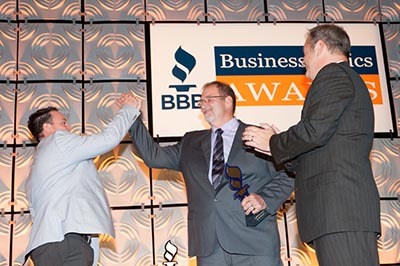 For more information or to read the official BBB press release, click here.